Once upon a time! Time, Time. There once was a very ugly, wicked and greedy cabal in a country called Nigeria. The cabal inherited a gene that made them helplessly dependent on loot. It was called the “worthless gene.” Afraid of their children and children’s children being unproductive due to the gene they carried, the cabal resorted to clinging on to power by all means and transferring it to their children who would otherwise be useless like them. The cabal learned the divide and rule technique from the colonial master who first gave them power. To this end, the cabal took all the nation’s police to protect themselves and then sponsored all sorts of terror in the country, to keep the desperate youth unsettled, fighting and helpless. Whenever the youth rose up, the cabal unleashed the army and terrorists on them to kill and secretly bury them in their hundreds. They massacred them in Odi, in Zaki Biam, in Zaria, in Onitsha, in Borno, in Benue, in Umuahia and other places. 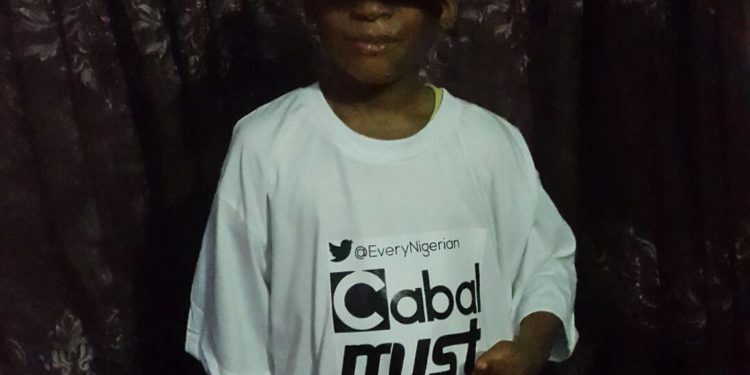 In the country’s north, the evil cabal kept 10 million “almajiri” children out of school. These they used for political rallies, rigging elections, violent riots and terror. Another cabal who has ruled the country for over three years and kept all the terror sponsors and other cabal safe and out of jail with their loot and bloodied hands, not locking u a single one, never releasing a list of looters but rather protecting even looters who stole from displaced victims of Boko Haram terror, and looters who millions of dollars was found stashed in their wife’s house in Ikoyi, went as far as calling the youth “criminals” while in the UK and on another visit to the UK, said the youth were jobless. Are you waiting to hear how this story ends? After I see you rise up and protest for the redeployment of the 80% police from the cabal to your parents and I see you rally for the Cabal to be impeached, sacked, and imprisoned, and I see you campaign for us to take over governance of Nigeria, I will tell you the end of this story.